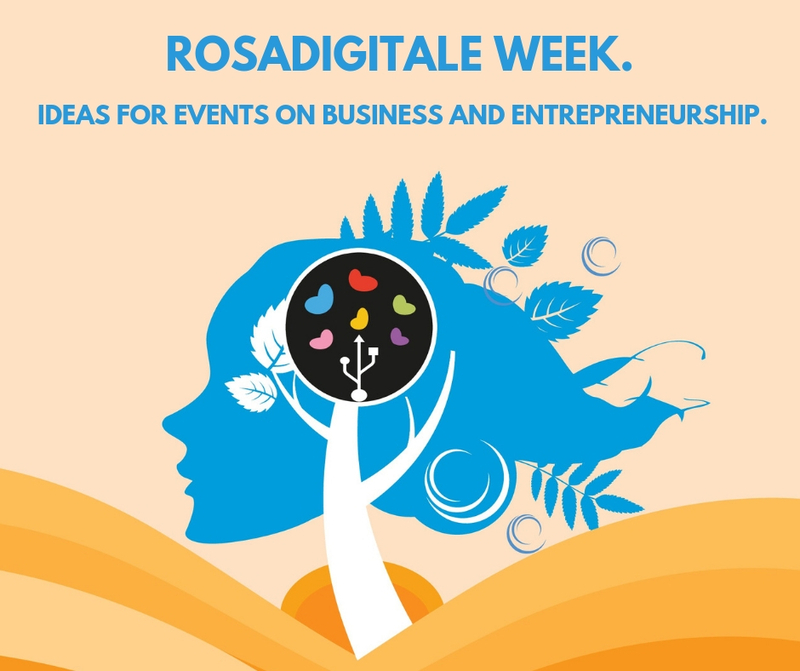 Rosadigitale Week is quickly approaching, the set of events designed and organized by Rosadigitale throughout Italy and abroad, on the themes of tech and digital. Like every year, and for this fourth edition everyone can choose to organize their own event(s) in line with the objective of the movement, to sensitize girls and boys, men and women on the world of technology, in order to stem that gender gap that still appears far from being filled. The events of Rosadigitale can range over 360 ° on various themes and be addressed to many different targets: from primary school education to the academic world. Below, instead, we list a series of examples of events (online and live) specifically addressed to the world of work, entrepreneurship and technology start-ups. You can use these examples as a starting point or outline to create your own events. – How to learn how to create or enhance your CV on LinkedIn. Having an effective public image, especially on social networks, allow you to find work more easily. With its 500 million subscribers distributed in over 200 countries, LinkedIn is definitely the best social network not only for those looking for work in the company but also for those who want to develop their personal business looking for new and selected contacts. To learn how to exploit this social, you first need to understand how it works and what are the ways to bring out the best skills indicated in your profile. Modality of the event: live, in the classroom or in remote videoconference. – Organize a speed meeting open to professionals and entrepreneurs in the tech sector. Speed meetings are networking sessions in which professionals, managers and freelancers have the opportunity to get to know each other, discuss and present their projects and their business ideas through short pitches. Learning to take advantage of shared knowledge is useful for expanding your vision of your role and seizing any new job opportunities. Modality of the event: live, in a local or bar. – How to create a start-up. All the basic practical steps. Today we talk a lot about start-ups, but what are the steps to take to build your business from scratch? By organizing a training event, you could teach all interested people the steps necessary to start their idea, for example: how to open VAT, how to found a company Ltd., how to ask for funding, how to apply to a venture capital fund, how to draw up a business plan and through which tools, etc. The possibilities are many; it all depends on your background. – How to launch a crowdfunding campaign to raise funds. Crowdfunding is a practice of micro financing from the bottom and is essentially based on a widespread system: instead of asking a single lender all the capital necessary for a project, this system can turn to a large number of sponsors, who will finance a small amount of the required capital in exchange for certain rewards. By organizing a course, you can introduce the most famous crowdfunding platforms (Indiegogo, Eppela, Kickstarter, Mamacrowd), teaching tricks to use and mistakes to avoid making to ensure the success of a campaign. – Plan a mentoring session for high school and university students. If you are a professional in a particular technological sector, you could decide to meet a class to speak of your training and your professional experience in order to provide young people with the inspiration, motivation and example they need to fully realize their potential and to choose the best work path for them. Modality of the event: live, in the classroom.